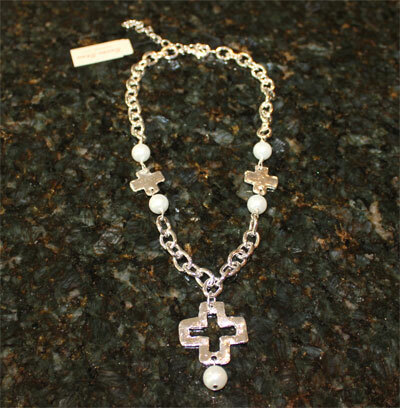 Handcast Sterling Silver Open Cross Necklace with Pearl. Adjustable from 16" to 19.5". 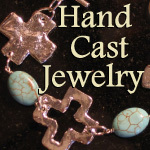 The Artist's thumbprint has been cast into the silver as a part of the design. Very unique!